You are taking part in the admission process of a reputed management institute and the next round is GD (Group Discussion). However, at the last moment, to test the candidate's ability and adaptability, the admission team changes it to impromptu speech round with surprise last minute topics. 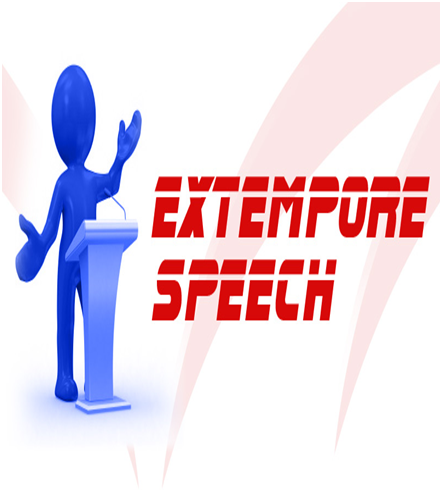 This speech that you are required to give without any preparation is called extempore speech. Some other examples also include a casual debate, a lengthy explanation for any wrong done, etc. You won't get much time to prepare for structure, words etc., as in the case of a normal speech. To give a great extempore speech, you need fluent English speaking skills and up-to-date knowledge about current affairs. The key point in extempore speech is speed. You need to be fast in forming words around the topic or situation presented before you. Keep the audience in perspective while formulating a speech fast. The best way to go about this is to keep the main delivery points in mind and form a logical structure. The structure will help you to keep your word flow in order. Your aim should be to deliver a short but an impactful speech. If you start out eagerly and say too many words in the first few minutes, it will cut short your extempore speech. Hence, it is very important to keep the delivery of words constant. Having a paced short speech will also help you to form and process words without stress. Whenever you get a topic and you have gathered your thoughts, it is a good habit to practice for at least a minute. This will allow you to get a hang of the subject matter and increase your confidence. Practicing even for a short time allows you to iron out the rough edges quickly. It is preferable to keep your extempore speech very short and concise. This is to avoid risk of running out of words prematurely. A short and sweet speech will captivate the audience reflecting on your oral ability. What is the outlook for MBAs in the post recession scenario? "The recent economic downturn has come as a blessing in disguise for MBAs. It has driven away greedy managers whose only outlook is money and replaced them with efficient management personnel with strong vision and mission. Contrary to popular perception, this is actually the best time to go for an MBA. Every business goes through a cycle and today's bear run will give rise to a good bull run. The recent layoffs will be offset by higher hiring during the growth and only motivated MBAs can get a place during the upswing. The new personnel will guide the company towards robust and sustainable growth." 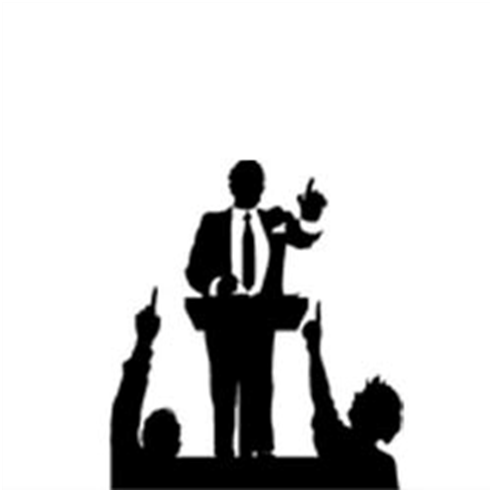 The above samples will guide you on the best extempore speech. Improve your spoken English with the help of an online English tutor for the best result. 1. How to Face an Interview with Confidence? 2. Use the Power of Phrases to Improve Your Spoken English Fluency. 3. Top 10 tips for an effective meeting. 4. Talking about life events - Summer vacations. 5. How to participate in a Group Discussion.